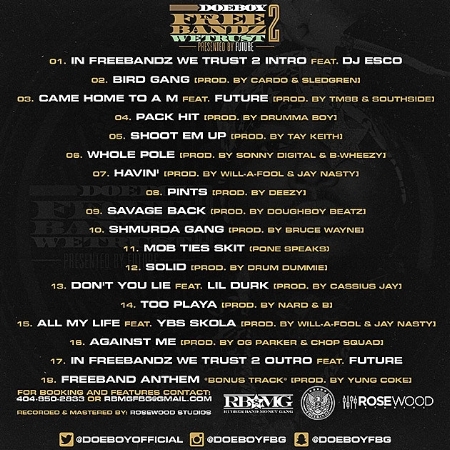 Cleveland rapper Doe Boy has released his latest project entitled In Free Bandz We Trust 2. The project boasts 18 tracks with features from DJ Esco, Future, Lil Durk, Ybs Skola and a bonus track of Freeband Anthem. Check it out now on Apple Music, and all other digital music platforms.